Jason Khalipa 11:18, Carey Kepler (45lbs) 11:01. Post time to comments. This Saturday, July 23rd, we will be meeting at our regular volleyball spot off of Pacific and Mast St in Marina del Rey around 1:30pm. Click here for a map. Look for parking along Pacific or on via Dolce and walk across the lagoon. We will have our tent up with the PCF Banner. Feel free to bring any extra games, beverages and food. The walk to Venice Pier is about a ½ mile. Don’t worry if you aren’t that good, all skill levels welcome! The CrossFit Games is next weekend!! We will be attending all three days, with CrossFitters attending from all over the world, there will be plenty of activities to keep you entertained. We plan on arriving early on Friday to create a home base in Tent City for the weekend. Read over the event details if you haven’t yet. Don’t worry about missing out on your workouts! Thanks to a few members helping out, we will be open for our regular hours as an open gym. There will still be warm ups, wods and cool downs available for you, but the instructors will be enjoying the CrossFit Games festivities! For those that plan on attending the Big Event, there will be a workout area provided as well, so you can compete for the fittest spectator! So come on out to see how big the community really is, to witness some of the greatest all around athletes on the planet and to watch history as CrossFit emerges as a powerhouse in the sporting world! Again, more details here or comment if you have any questions. Not quite sure what the Games are all about? Listen to Zeb give a brief explanation here. *3 sprints less than 100m at 80%, 90%, and 100%. Recover completely and begin the workout. *You should PR on this from 3 weeks previously. Good luck and please post to comments! CrossFit World Wide! 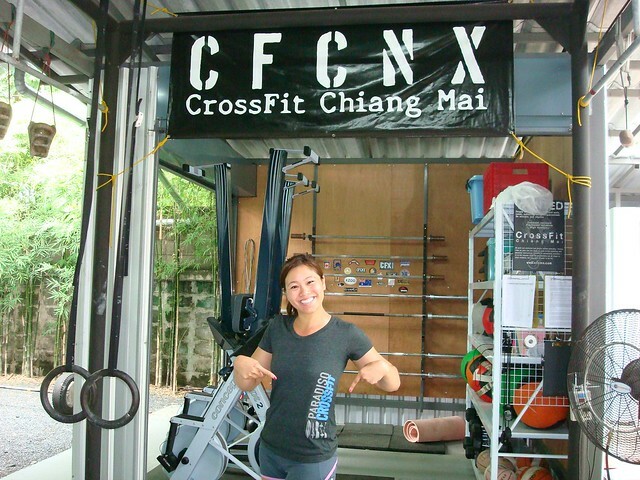 Emily visiting CF Chiang Mai in Thailand!